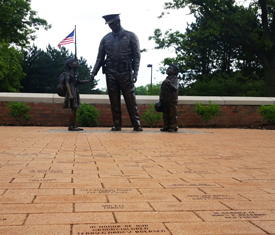 The monument is a life-size, bronze statue surrounded by brick pavers plus markers to thank large donors and to honor fallen officers in Ottawa County. "Making a difference in the communities we serve" has been the philosophy of the Ottawa County Sheriff's Office. This is the focus of the men and women of the department who serve our communities and those who serve in corrections. We believe everyone who serves in the Sheriff's Office makes a difference and adds to the quality of life within our county. 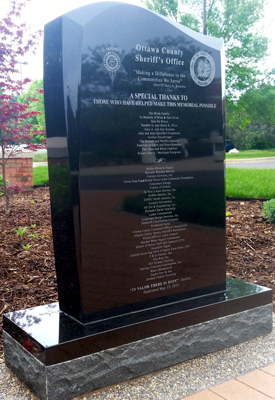 During a moving dedication ceremony, the monument was unveiled and dedicated on May 15, 2015. 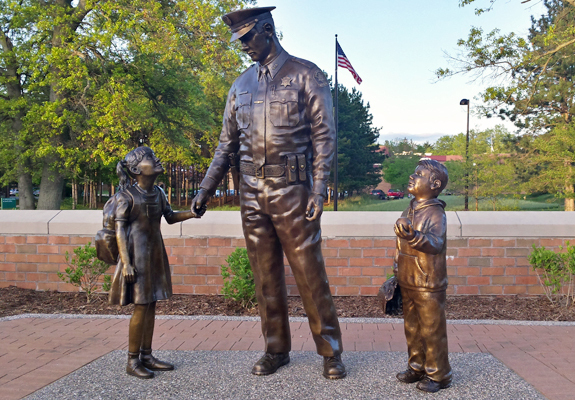 The Protector Monument is a memorial to past officers, a tribute to those presently serving, and a challenge of excellence to those who will serve in the future. Donations from individuals and businesses made this project possible and we sincerely thank them all. 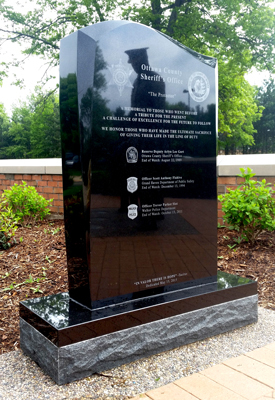 The public is welcome and encouraged to view the monument located at the Sheriff's Office Headquarters in West Olive. 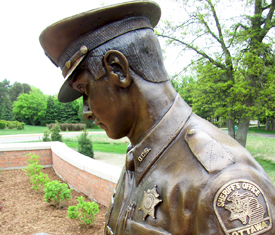 A close-up look of the bronze statue. Engraved paving bricks were sold to fund the monument. Large donors are recognized on a marker. Thank you to everyone who contributed to the project. De Witt’s Auto Service, Inc.
HS Die & Engineering, Inc.
T & D Electric, Inc.